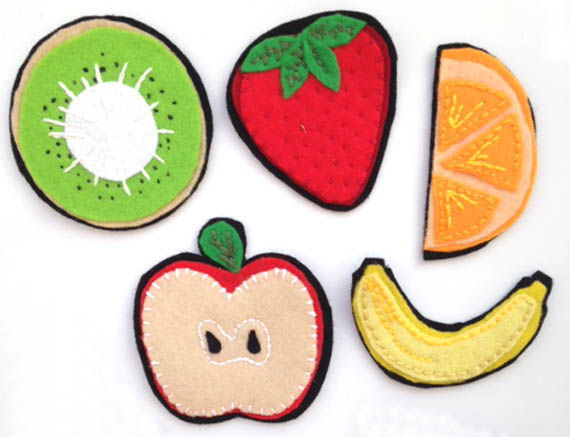 Sewn layers of acrylic felt in fruit shapes attached to a soft magnet, to pop on a fridge or magnetic notice board. Presented in cellophane card backed bag. Got a question? Message RichMakes. Item will be delivered in a protective cellophane plastic bag and a hard backed paper envelope. Delivery is by first class standard postage. Sorry no returns, unless damaged during postage and photographic proof is provided. all customized items are non returnable. 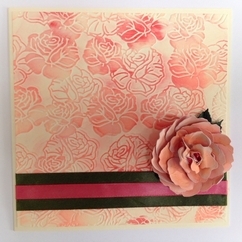 Pink Damask on brown kraft card. 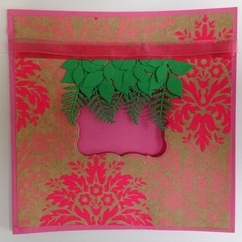 Die cut aperture with green folliage and pink polyester and organza ribbons. 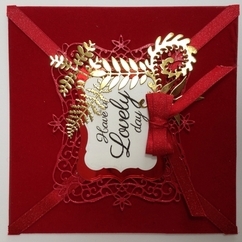 Stamped sentiment "Have a Lovely Day" on the inside. 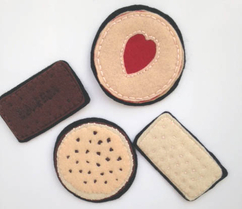 x4 Felt buscuit shaped fridge magnets. each 3.3/4" / 9.5cm including: Bourbon Chocolate Chip Shortbread and Jammie Dodger Sewn layers of acrylic felt in buscuit shapes attached to a soft magnet..
An colourful summer A5 Ice Cream card with pink gem and ribbon embellishments and embossed beach hut background in white. 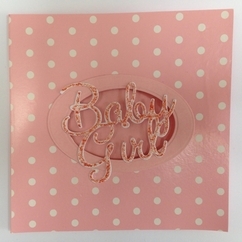 Summer patterned paper insert with space for your own greeting. 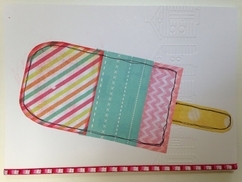 Including a..
An colourful summer A5 Ice Lolly card with ribbon embellishments and embossed beach hut background in white. 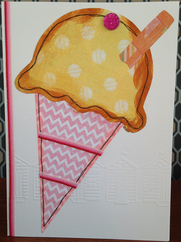 Summer patterned paper insert with space for your own greeting. 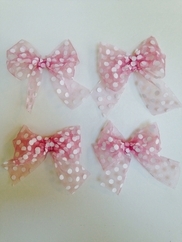 Including a plain white..
SOLD OUT X4 beautiful double bows in Pink polka dot organza ribbon. Each one 2.5" / 1cm wide. 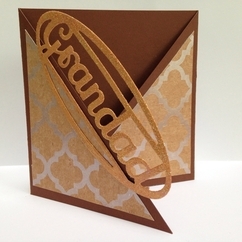 Perfect for your paper crafting, card making and sewing projects. 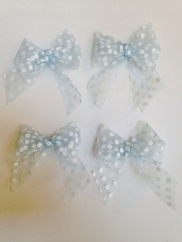 Add..
SOLD OUT X4 beautiful double bows in Blue polka dot organza ribbon. Each one 2.5" / 1cm wide. 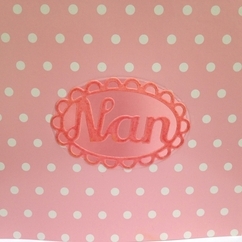 Perfect for your paper crafting, card making and sewing projects. 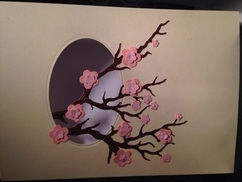 Add further embellishments for..
An colourful summer A5 pink Cherry Blossom on brown branch pattern on cream card, with an oval aperture. 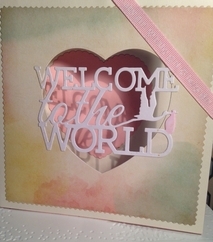 Plain insert with space for your own greeting. 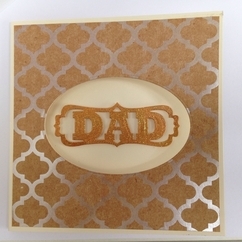 Including a plain white envelope.